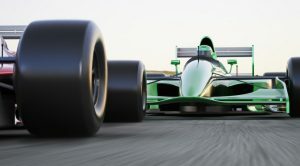 If you are looking for some quality sports betting this weekend, then Sunday’s US Grand Prix in Austin, Texas is certainly an event well worth taking a closer look at. The race could well see the crowning of this year’s Formula 1 Driver’s World Champion, with Lewis Hamilton needing to land nine or more points than Sebastian Vettel in order to ensure he clinches the title mathematically. In short, if Hamilton were to win in Texas, Vettel would have to finish second to ensure that the title race continues for at least one more weekend. It is only a matter of time before Hamilton does indeed claim what will be his fifth World Driver’s Championship, his fourth in five years and it is worth noting that he finished second in 2016, when Nico Rosberg pipped him to the World title by five points. 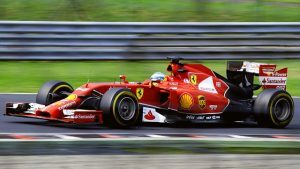 The phlegmatic Brit has had some help along the way, notably from some curious strategic decisions by his closest rival Sebastian Vettel in the Ferrari, as well as team orders allowing Hamilton to pass Valtteri Bottas into first place to land a win in Russia that in truth, the Brit did not deserve. Tha nature of that win a few weeks back may have left a somewhat bitter taste in the mouth of the Brit and his team mate following the win, but Hamilton was a deserving winner in Japan, leading from the start of the race to the finish and never under any pressure from behind in what was a dominant drive. The United States Grand Prix is the first of the four final races of the season and it would be something of surprise to see the title decided so soon, especially how the first half of the 2018 Formula One season went. The first half of the F1 season, pretty much up until the Great British Grand Prix in July, was a very evenly contested affair. Sebastian Vettel started the season well before Lewis Hamilton stormed back and there then followed a period when the drivers, along with Red Bull pair Daniel Ricciardo and Max Verstappen, traded wins. Hamilton and Vettel were always clear at the top even at this early stage of the season, but each week would see a change in who led the standings and after Vettel’s win at Silverstone, it seemed that Ferrari just about held the edge between the teams. Hamilton bounced back with a win at Hungary and then in Italy, Hamilton really pushed home his advantage when defeating the field in Monza, Italy to claim a victory on Ferrari’s home track. Since then, Vettel has mustered just one win, while Hamilton has won six of the last seven races to open up the largest gap between himself and Vettel of the season so far. 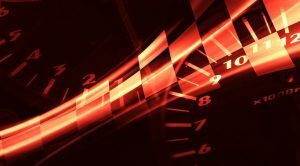 Given the improving performance of Hamilton and Mercedes and the declining performances of Vettel and Ferrari, it does not give the Ferrari driver much hope of closing the gap on his nemesis over the last four races of the season and when you take a look at the recent history of the F1 Grand Prix in the United States, it is easy to see why Mercedes and Hamilton are so confident. 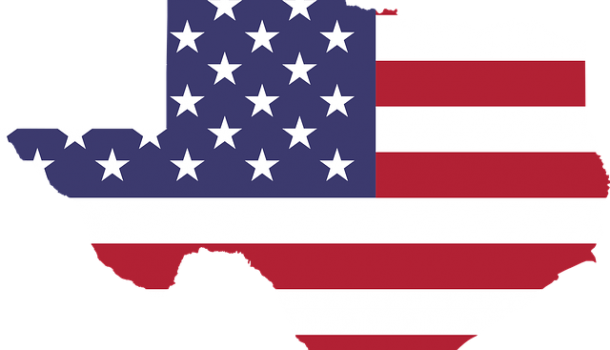 The US Grand Prix has been contested in many different locations throughout the United States, from California to Florida, to New England and to the current home of the Grand Prix in Austin, Texas at the Circuit of the Americas. Since the first race was held on this track, speciflcally designed for F1 races, one name and one team have dominated proceedings. Prior to the race in Austin, the last F1 Grand Prix was held in Indianapolis in 2007 and it was won by a young Lewis Hamilton for McLaren Mercedes. In 2012, he repeated that victory in the first race ever held at Austin and it would become a track that he would grow to love. Only Sebastian Vettel’s win for Red Bull in 2013 has ended Hamilton’s dominance of the race as the British driver has landed victory in 2012, 2014, 2105, 2016 and 2017. He is the most successful driver in the US Grand Prix’s history, winning six races, one more than Michael Schumacher and the odds are good that he may well make that seven this coming weekend. In truth, his main rival for victory here is less likely to be the Ferrari of Sebastian Vettel and more likely to be the Mercedes of team mate Valtteri Bottas. However, with Bottas seemingly under orders to let Hamilton pass should the Brit be behind him in a race, it is unlikely that even if Bottas was winning the race, that Mercedes would not issue team orders enabling Hamilton to pass to boost his points total. On a track that sees 20 corners, many of them wider than usual allowing drivers the chance to overtake in different places along a number of different racing lines, the US Grand Prix does have a reputation of being an exciting race but with the advantage the Mercedes seems to hold over its closest opposition, it would be a huge surprise if Ferrari and Red Bull can close the gap between themselves and the German car to make a real challenge in Austin on Sunday. There’s no doubt that with the best car, the best driver and the best team, combined with an almost flawless record at this track, there is a very good reason why Hamilton is the odds on favourite to win this race with bet365 Sport. So if you are going to back a winner, then he is without doubt the only driver I could honestly suggest. However, if you are looking for a slightly better value bet on the same market then bet365 Sport do accept each way bets on F1 racing and you can land a pay out of 1/3 of the stated odds if your chosen driver finishes 2nd in the race. With that in mind, I’d be backing Hamilton’s team mate Valtteri Bottas, who is 15/2 to win the race, with the expectation of him finishing second to Hamilton once again.